"The Swamp" by Klimt, Austrian Painting. 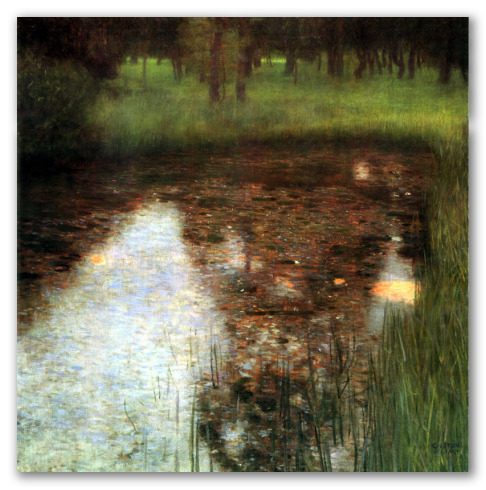 The scenery in "The Swamp" by Gustav Klimt was inspired by a wooded landscape in Austria, where the artist developed much of his work. 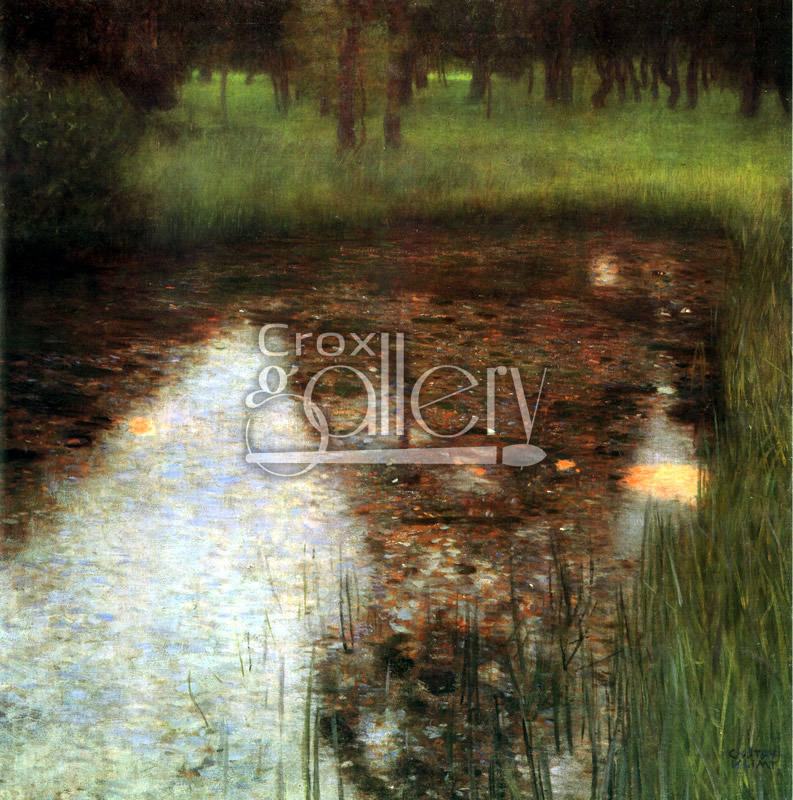 This painting shows a swamp surrounded by vegetation and partially covered by the shade of trees. The style is reminiscent of Impressionism and Pointillism, developed more intensely by other artists of the period.